“Last Wednesday night, our team of 5 from Boston hopped on the redeye flight to Zurich and little did we know what to expect. 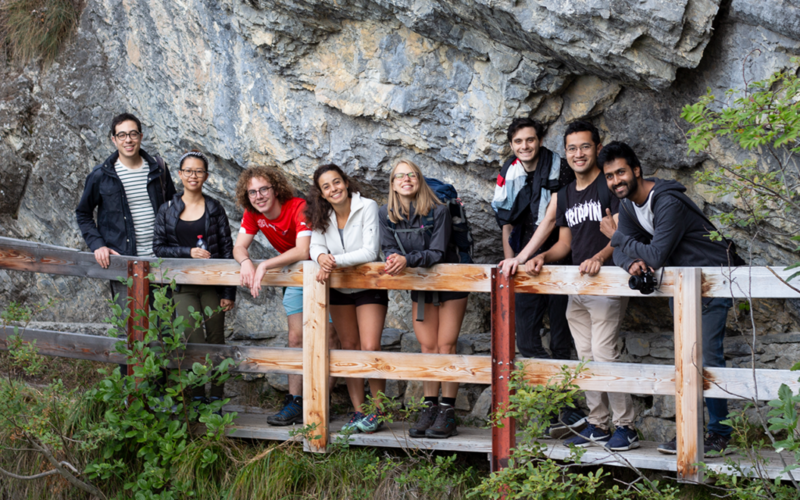 We had all signed up to live inside a glass cube for 4 days, work on ideation and prototyping, and had been offered a trip to Switzerland – for OutCube – the preparation for the InCube weekend. Upon landing on Thursday morning, we explored Zürich, played the roles of typical tourists and went to sleep that night quite jetlagged and tired. But Friday was when the fun really began. At Bahnhofplatz on Friday morning, all of the participants for InCube met for the first time. Immediately, I was struck by the diversity of disciplines. From Mechanical Engineering, to computational biology, to finance and economics, to geoinformatics, our backgrounds were all very diverse. Equally striking was diversity in our geographical backgrounds as well: Netherlands, Poland, Italy, France, Germany, India, China, and Hungary were just some of the locations. Getting on the train to Crans-Montana, the group rode for 4 hours, rushed to make train changes with tight connections, and got to know a bit about each other, with a backdrop of the beautiful Swiss countryside outside of the windows. Getting to Crans-Montana, we had a quick bite and dove right into getting ready for InCube. It started with a crash-course on design thinking, the core methodology that participants will be using during their ideation. Given a theme, we started with need-finding, interviews, ideating, and ultimately prototyping in small groups of 4. The cardboard, paper, and Legos came out and we got to bring out our creative side to prototype in a highly time-boxed setting. Each team scrambled to grab supplies and coordinate to build a single prototype while building the story behind it all at the same time. This workshop was a sneak peak at life inside the cube, encouraged our creativity, and reminded us that prototypes do not need to be polished to be tested. After a long day of running to catch trains, and running to get the right prototyping supplies, it was time for a classic Swiss dinner – Fondue. Commencing dinner, we went back to have a relaxed night and some early sleep. Saturday began early at 7 am with breakfast on the terrace facing the mountains. It was still surreal to me that in less than 2 days I had travelled across the ocean to the Alps. After breakfast, a beautiful hike with amazing views, and lunch, it was time to start our next workshops. Each participant went to 4 workshops out of 6 based on their preferences and each workshop equipped us with one more tool for InCube. In my first workshop, we worked on rapid and effect storytelling through creating a short video. In the next workshop we worked on interview techniques on the street with several passerby. Interviewing locals in Crans-Montana was quite fun and informative. Having done similar exercises in Boston, I was amused by some of the cultural differences. We had almost 80% success of getting people to stop and answer some questions. In Boston, getting half of that is more likely. On the last and final day, we proceeded to have the other 2 workshops in the morning. I attended a workshop on effective pitching to think about how best to construct a pitch. This workshop hoped to eliminate many of the pitfalls and clichés of typical pitches. 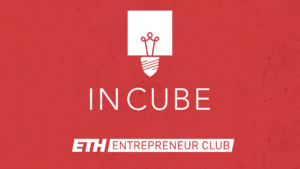 The last workshop was an exercise on building the lean business canvas and how to properly use it not only at InCube, but beyond in designing ventures. During early phases of venture design, the Lean Canvas helps concretely get ideas down and use the lean principles to test hypotheses and get out of the building.